From December 4th to 6th, the Italian Trade Agency (ITA) will head to Orlando to support a delegation of selected Italian companies during their participation to Power-Gen. The initiative is a 30-year-old power generation event with diverse content for all forms of energy - with a multi-track summit and knowledge hubs, a huge exhibition with over 900 companies and comprehensive networking and matchmaking. The topics and trends focus on technology, innovation and policy advancements - unmatched insight for the future of the energy spectrum and mix. The selected group of Italian companies in attendance, operating in the field of renewable energy and resources, will showcase their ideas and solutions in the ITA-branded "Italian Pavillion" (booth #2071). Alongside them, official regional delegations will present technical highlights of each district to the attendees. On December 5th, 11.30am to 1pm, ITA will host a conversation on EVs and Beyond: Power Generation Innovations Advancing the Energy Industry. Here attendees will explore what is new and emerging in the power generation industry and how large companies are deciding where to invest and why. The session will be moderated by Jennifer Runyon, Content Manager, Clarion Events, and will have as speaker Preston Roper, COO, eMotorWerks- An Enel Group Company. Tesar S.r.l. (first Italian company to implement the technology to produce Cast Resin Transformers). 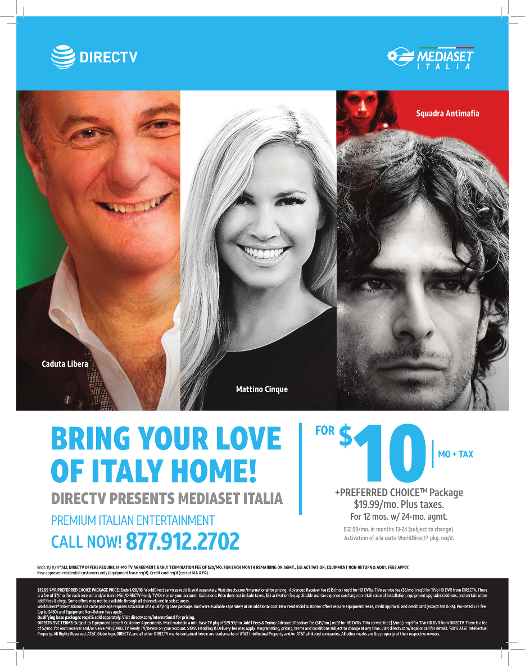 Welcome to Mondo Italiano Magazine's Orlando Page. Mondo Italiano has traditionally been a South Florida publication yet proud to announce that we are in the process of launching statewide. We will be providing information, resources, events and advertising opportunities for every major city in Florida. Please send us your news at: pleaseadvertise@gmail.com We also have an amazing advertising package that includes the banner ad above, a social media package and a full page ad in our turnpage online magazine located at: floridaitalian.com click the banner above to find out more!